The mission of Virginia Beach Crime Solvers is to solve and prevent crime in the Virginia Beach area in partnership with citizens, media, and the criminal justice system. 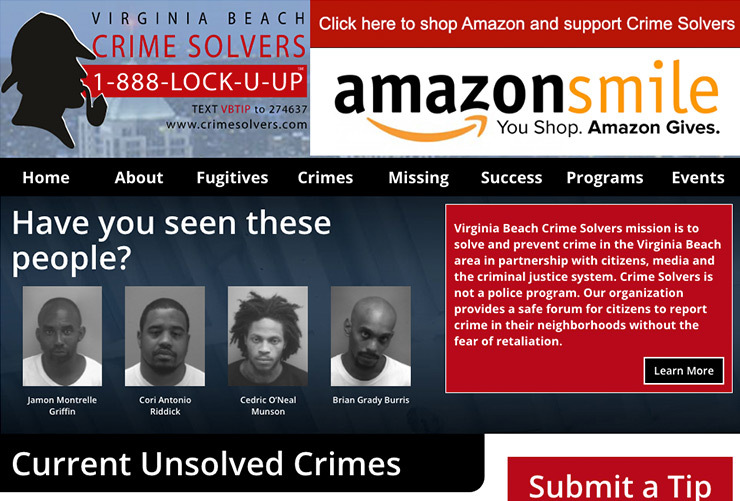 It was important that Virginia Beach Crime Solvers move from their Frontpage locally managed site to an online content management system. I designed and developed their current site on WordPress. I also created an updated logo for them in vector format so that they would be able to use it for web and print at various sizes without losing quality. I used custom post types to manage the fugitive information, which users are able to browse based on their status (captured, at-large, etc.). This website will likely be redesigned and developed soon based on usage since being launched.